With just a superficial glance, it’s not difficult to understand why Zynga (NASDAQ:ZNGA) shares surged on Wednesday. Any partnership with Walt Disney (NYSE:DIS) is likely to drive at least a little extra fiscal success, so the bump to Zynga stock wasn’t a total surprise. Particularly when that partnership focuses on the most successful movie franchise of all time. The deal to make the new Star Wars game expands Zynga’s potential even further. It’s surprising Zynga stock didn’t climb even more than the 7.7% gain it logged on Wednesday. Looking beyond the headlines though and really crunching the numbers, the Disney/Zynga deal may not necessarily be the game-changer investors are behaving like it is. In short, making a great video game is difficult to do, and the mobile gaming arena is stunningly statured while at the same time highly fragmented. Fans of Star Wars video games have reason to be excited. Disney has tapped Zynga to make at least one brand new mobile Star Wars game, and the gamemaker has the option to create another one as well. Additionally, Zynga will be taking over the operation of “Star Wars: Commander,” which was developed by Disney Interactive and has been operating since 2014. It’s good news on the surface. Mobile games are actually on pace to generate a little more than $70 billion worth of this year’s video-gaming revenue, or 51% of the of the industry’s projected collective sales. That figure dwarfs the PC-gaming market’s expected revenue of nearly $33 billion and the $34.6 billion in sales that console-gaming is expected to drive in 2018. The bad news for owners of Zynga stock is, any new (or existing) Star Wars game will be competing with hundreds of thousands of mobile games, many of which are free to play. The Google Play store offers 677,000 titles as of the first quarter of this year, and though there’s certainly some overlap between the two venues, there are an estimated 800,000 mobile game apps available for the Apple (NASDAQ:AAPL) iOS. Many of them are bad to the point of being unplayable. Enough of them are good enough, however, to keep the market’s revenue rather well fragmented. As fragmented as the market is, it’s difficult to say with any certainty just how many of these game developers are turning an actual profit with the mobile games they make. Many are likely to lose money, but developers and publishers continue making them in hopes that they’ll stumble their way into making the next Candy Crush-like hit, or the next Fortnite. Even Nintendo (OTCMKTS:NTDOY), with all of its marketing firepower, says it’s not satisfied with the profitability of its mobile game that features its well-known Mario character. It’s a concession that points to a sobering theme: For every Fortnite, Candy Crush and Farmville, there are ten more games (maybe more) that players never even hear of. It’s still difficult to define what makes a successful mobile game. To that end, it’s noteworthy that among the most popular mobile games in operation right now, none of them have the words ‘Star Wars’ in them. None of the most popular game apps are all that similar to any existing or potential Star Wars game Zynga might be willing or able to develop. ‘Star Wars: Galaxy Of Heroes’ is only #15 on Ranker.com’s list of 2018’s most popular titles, but that respectable-yet-not-shining position may have more to do with the fact that the game is a cool-looking RPG than because it’s a Star Wars-themed game. It’s not a bad deal for Zynga, to be clear. If nothing else, Zynga stockholders can appreciate the fact that the company has a wealth of experience in design, developing and marketing video games. Coming up with a new one, or two, should be difficult or terribly expensive. It also shouldn’t take too long. Investors expecting this partnership to translate into new-found glory and profitability for Zynga, however, may want to temper their expectations. Adventure and action games that the Star Wars universe lends itself to have a place, but the top mobile games are generally puzzle games, casual ‘parlor’ games, simple brawls, sports or civilization-building titles. Relatively small screens (and a lack of a keyboard or joystick on a smartphone or tablet) don’t exactly tap into the full potential of what a Star Wars game can and should be. In other words, this isn’t a reason in and of itself to buy Zynga stock. 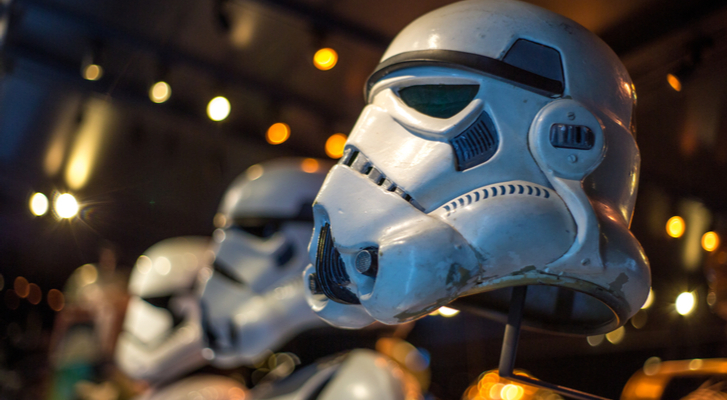 Article printed from InvestorPlace Media, https://investorplace.com/2018/08/star-wars-games-zynga-stock/.